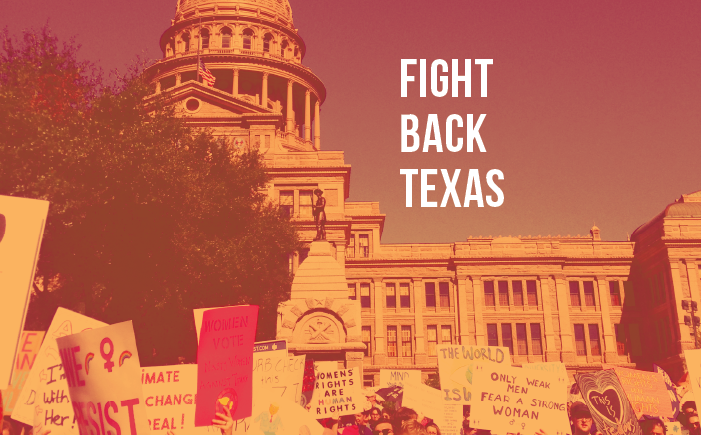 Tell your representatives in Texas Legislature to vote against the dangerous, anti-abortion measures proposed by Governor Abbott during the special legislative session — to stop playing politics with women’s lives. The Texas Senate has already passed Abbott's anti-abortion bills, so the fight to stop these bills is being fought in the Texas House. “Texas women are dying. Texas has the highest maternal mortality rate in the developed world. Stop pursuing policies that limit Texans’ reproductive health care options and instead work to save women’s lives and improve women’s health outcomes. On July 18th, Texas lawmakers returned to Austin for a special legislative session called by Governor Greg Abbott. Despite an ongoing women’s health crisis in Texas, Gov. Abbott put forward three reckless and politically motivated anti-abortion measures aimed at restricting women’s access to reproductive health care. Gov. Abbott’s anti-abortion agenda includes bills that ban insurance companies from providing coverage for abortion, single out abortion providers for increased reporting requirements, and further limit health care access for communities that rely on Planned Parenthood. Lt. Gov. Dan Patrick and anti-abortion politicians in the Texas Senate passed these three measures, so the fight to stop these bills is being fought in the Texas House. In June, Gov. Abbott signed a sweeping and cruel anti-abortion bill into law and unilaterally vetoed a bipartisan bill extending the Women’s Health Advisory Committee, which was tasked with ensuring low-income Texans have access to reproductive health care. Unless you voluntarily provide us with any personal information, such as your e-mail address, this site does not collect personal information about you without your knowledge. If you choose to provide any personal information, such as your mailing address or phone number, we may use that information to contact you. This site is maintained by a coalition of organizations united to restore trust and respect for all Texans, and access to the full range of reproductive health care in our state. By providing your e-mail address, you may receive email updates from select coalition partners.